With the rise of social media and the rise of programmatic advertising, the need to move quickly is markedly different from the historic “briefing of an agency” that led to a TV spot going live 90 days later. Those traditional tasks still happen, of course, but so do many other tactics. But all is not rosy with in-house teams. 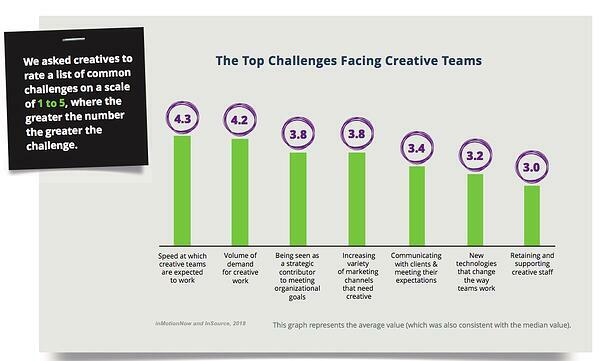 The number one challenge facing in-house creative teams is the expectations of speed at which they are expected to produce work. These quick turnaround times can overload staff at in-house agencies or studios. Wrapped around these general challenges come new ones when an in-house team needs to create an influencer marketing program. One of the promises of “efficiencies” that Ford and other brands seek is not having to pay for services year-round when you only need them periodically. Here’s why that doesn’t typically work for influencer marketing. Ideally, marketers will have access to a database of influencers, either licensed from a provider or built over time by hand. Without this resource, building an influencer list using Google searches can be close to impossible. Our database has each influencer connect their social accounts through the platform. As a result, we can pull a wide variety of data, including the composition of the influencers audience (gender, geography, interests, etc.). This data helps us figure out who the right influencer is, not just based on their brand fit, but also based on the fit of their audience. The size of the influencer’s following is also a tricky number to land on. While large influencers offer greater potential reach, they have lower engagement rates and often lower organic reach on a percentage basis. And the pricing can escalate quickly for the largest influencers. The cost benefit analysis of that is delicate. And this is before we even talk about the potential for fake followers on influencer accounts. Influencer pricing is highly variable. Without either data or experience, it’s very difficult to determine what to offer each influencer. And if the influencers suggest rates (as they are often happy to), against what benchmarks do you compare them? Rates not only vary by follower size, but also vary significantly by category (food, fashion, travel, wellness, etc.). The other question is how much content a given influencer should be expected to produce for each campaign. Are you asking them to attend an event? Create a blog post? Do “stories” or straight images? Create videos? Compensation varies accordingly. Beyond money and assignment, however, are the real reasons influencers choose to work with brands in the first place. This is an area in which the brand may be well equipped to outline the creative brief. This is likely one of their core skills. Influencers want to be creative but want to do so within clear guardrails provided up front. Another challenge, however, is that the ideal influencer briefing and contract need to provide clarity on how the brand expects the influencer to comply with FTC requirements around influencer marketing. In most cases, the brand schedules the campaign with different influencers posting at different times. This can be compacted or done slowly depending on the strategy. But the team will need to coordinate with each influencer to ensure they are on track to meet their deadlines. In addition, ideally each piece of content (every Tweet, every Facebook Live video, every blog post) is reviewed by hand to ensure it’s FTC compliant and compliant with your brand brief. Influencer marketing campaigns throw off a lot of data if you know where to look. Which pieces of content perform best? Which influencer performed best? How much traffic did it send to your website? Did sales improve and if so, how did that improvement correlate with the campaign roll-out. Can you calculate the ROI of your influencer marketing program? There are at least 25 ways to measure influencer marketing, so which should you choose? If you prefer to, or must, do the work in-house, use the 6 steps outlined above as a guideline for what you need to accomplish. I hope it’s helpful. If you’d like help with all or part of these tasks, from influencer selection to complete programs, just let us know. We can provide firm, flat rate pricing for any program, or program aspect, you might need help with. And you only pay when you need us. There is no ongoing commitment.